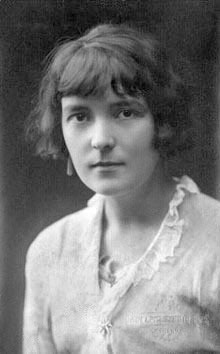 Katherine Mansfield Murry (14 October 1888 – 9 January 1923), born Katherine Mansfield Beauchamp, was a New Zealand poet and writer of short fiction, who wrote under the name Katherine Mansfield. I have made it a rule of my life never to regret and never to look back. Regret is an appalling waste of energy, and no one who intends to become a writer can afford to indulge in it. By health I mean the power to live a full, adult, living, breathing life in close contact with what I love — the earth and the wonders thereof — the sea — the sun. The world to me is a dream and the people in it are sleepers. I have known a few instances of intensity but that is all. I want to find a world in which these instances are united. Would you not like to try all sorts of lives — one is so very small — but that is the satisfaction of writing — one can impersonate so many people. To work — to work! It is such infinite delight to know that we still have the best things to do. If only one could tell true love from false love as one can tell mushrooms from toadstools. With mushrooms it is so simple — you salt them well, put them aside and have patience. But with love, you have no sooner lighted on anything that bears even the remotest resemblance to it than you are perfectly certain it is not only a genuine specimen, but perhaps the only genuine mushroom ungathered. I'm a writer first & a woman after. By health I mean the power to live a full, adult, living, breathing life in close contact with what I love — the earth and the wonders thereof — the sea — the sun. All that we mean when we speak of the external world. A want to enter into it, to be part of it, to live in it, to learn from it, to lose all that is superficial and acquired in me and to become a conscious direct human being. I want, by understanding myself, to understand others. I want to be all that I am capable of becoming so that I may be (and here I have stopped and waited and waited and it’s no good — there’s only one phrase that will do) a child of the sun. About helping others, about carrying a light and so on, it seems false to say a single word. Let it be at that. A child of the sun. Warm, eager, living life — to be rooted in life — to learn, to desire to know, to feel, to think, to act. That is what I want. And nothing less. That is what I must try for. … This all sounds very strenuous and serious. But now that I have wrestled with it, it’s no longer so. I feel happy — deep down. All is well. Were we positive, eager, real — alive? No, we were not. We were a nothingness shot with gleams of what might be. When we can begin to take our failures nonseriously, it means we are ceasing to be afraid of them. It is of immense importance to learn to laugh at ourselves. I want so to live that I work with my hands and my feeling and my brain. I want a garden, a small house, grass, animals, books, pictures, music. And out of this, the expression of this, I want to be writing (Though I may write about cabmen. That's no matter.) But warm, eager, living life — to be rooted in life — to learn, to desire, to feel, to think, to act. This is what I want. And nothing less. That is what I must try for. When I say "I fear" — don't let it disturb you, dearest heart. We all fear when we are in waiting-rooms. Yet we must pass beyond them, and if the other can keep calm, it is all the help we can give each other. This all sounds very strenuous and serious. But now that I have wrestled with it, it's no longer so. I feel happy — deep down. May you be happy too. I'm going to Fontainebleau on Monday and I'll be back here Tuesday night or Wednesday morning. All is well. The world to me is a dream and the people in it are sleepers. I have known a few instances of intensity but that is all. I want to find a world in which these instances are united. Shall I succeed? I scarcely care. What is important is to try & learn to live, and in relation to everything – not isolated. This isolation is death to me. Quoted in Katherine Mansfield: The Memories of L.M. (1972; digitized 2006), p. 178. L.M. was Lesley Morris, the pseudonym of Mansfield's friend Ida Baker. Once we have learned to read, the meaning of words can somehow register without consciousness. This has been attributed to Mansfield on the internet, but no published source by her or any other author has been located.